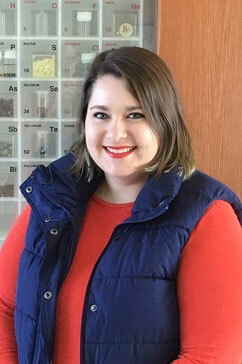 Congratulations to Whitney Webre, Chemistry graduate student working with Dr. Francis D'Souza, for being awarded a 2019 ACS Women Chemists Committee Travel Award, sponsored by Eli Lily & Company! According to the committee's website, "The Women Chemists Committee (WCC) serves the membership of the American Chemical Society. Our mission is to attract, retain, develop, promote, and advocate for women to positively impact diversity, equity and inclusion in the Society and the profession.